As Billy, Tilston's dimples steal the show, along with the young boy's wide-eyed wonder at life. As the older Billy, the gifted Lawther adds a steely edge, haunted and unable to enjoy his childhood memories. 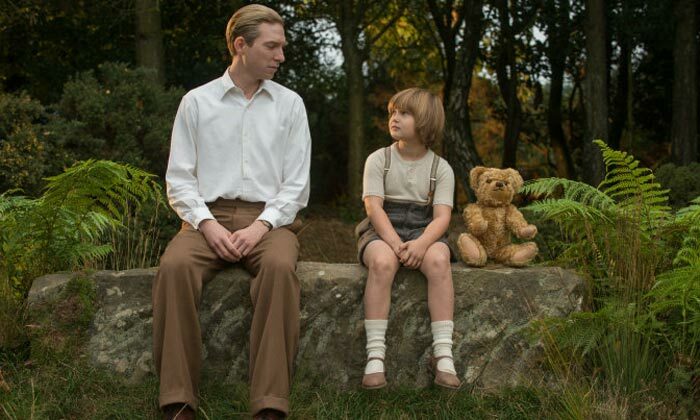 In other words, the film refuses to merely relax and enjoy the sunny cheerfulness of the Winnie the Pooh stories. And that's the point: they were written to inject a smile into a hurting post-war society. Which of course makes this a story we can easily identify with today.